For more info and to register visit the Prosper Camp Pursuit website. 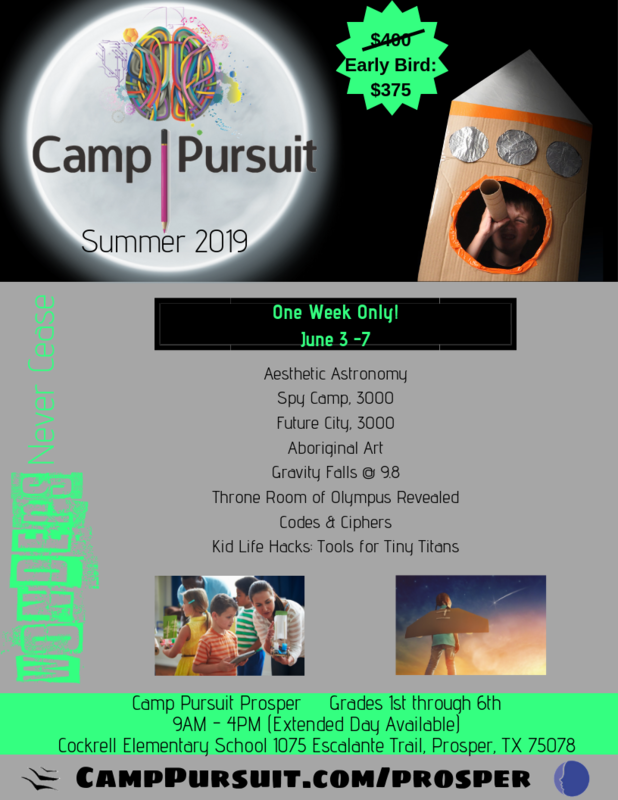 Register today for Camp Pursuit and take advantage of $25 OFF for Gifted Minds Prosper members (enroll by Friday, Mar 1 at 11:30pm)! Coupon code is posted on www.giftedmindsprosper.com website, under Member Discounts.